What inspired you to write Luxury Globetrotting on a Staycation Budget? 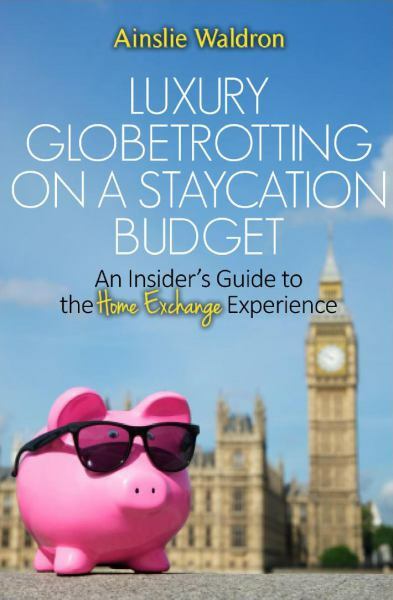 So many friends, family and acquaintances asked me questions about the “how to’s” of the global house swapping (home exchange) I was doing that I decided to write a very practical book about how anyone can go about it; Luxury Globetrotting on a Staycation Budget is the result. The FAQs in the book are actual questions people ask me and those queries helped me decide what people really wanted to know about house swapping, also known as home exchanging. How many home exchange properties have you stayed in? I have not added them up but I think it may be around 80. These range from one-bedroom condos to opulent mansions in extensive grounds. What is the average length of time for a home exchange? The FAQs in the book are actual questions people ask me and those queries helped me decide what people really wanted to know about house swapping. The length of time depends on what you want and what you negotiate. I think our average time is around two weeks in one place but we have had people stay for 3 months in our home. If we are doing exchanges in our own country our purpose may be to attend an event such as a wedding and we may only stay a few days. On a long trip to Europe we may average two to four weeks in each home along the way. Have you ever had a bad home exchange experience in a house you were visiting? With an exchanger in your house? We have never had a bad experience with an exchanger in our home and neither have any of our contacts. We did arrive in a home which was not up to our expectations on one occasion. It was a condo in a major European city and was clean but under-furnished; the bed was two mattresses on the floor. We made do because of the location. The vast majority of homes we stay in exceed our expectations and needs. How did you learn how to do home exchanges? I learned from my close friend and travel companion Michael who had been exchanging for a year before we met. I wish we had had a book as a practical guide. We learned through trial and error. Who is the best candidate for home exchange travel? Someone who loves adventure and is not afraid to have others in their home. Many retired people who have lots of time are great home exchangers, and so are younger people. People with children or babies find it useful as they can exchange (thereby save having to take with you) all the accouterments you need when travelling with children such as car seats, high chairs, games, books and cots. How do you decide on an itinerary? For short trips this is not an issue but as you know, in addition to our short trips we have an annual long trip from 3-6 months in length. For example, next year we are planning to do parts of Europe, some that we have not explored and others that we have and wish to return to. We are starting in April in Istanbul as we will celebrate the one hundredth anniversary of the Gallipoli landings by the ANZAC troops there. After Turkey we will spend time in Croatia, Greek Islands, Greece, Italy and southern Europe, working our way north until we finally reach Scotland in August. When we do trips to North America we usually concentrate most of our time in one or two main states each trip. What about airfare? Isn’t that cost prohibitive? I wish we had had a book as a practical guide. We learned through trial and error. We ensure that we travel well and keep abreast of the most cost effective ways to travel. We are huge users of frequent flyer points or air miles. We pay all of our regular bills by credit card for example and thereby accrue miles every month when we pay the bill. We also are signed up on a number of airline sites whereby we are notified and can buy miles when special offers are on. We are notified of special airfares and related travel offers. We have become skilled at surfing the web to find the best fight deals. Having the flexibility to travel outside normal business hours and outside holiday times helps to bring the prices down even further. How are people reacting to Luxury Globetrotting on a Staycation Budget? I have been overwhelmed by the number of thank you’s that I receive. People seem to like the practicality and detail in the book. I have tried to answer people’s questions and address their concerns about how to do all the little things. I have also had some good feedback about the photos and the real life, often humorous stories I added to the book, people seem to enjoy those too. At one remote property we had to use the outdoor facilities during daylight hours only as a big bear population made evening ventures quite hazardous. Where can people learn more about your ongoing travels? 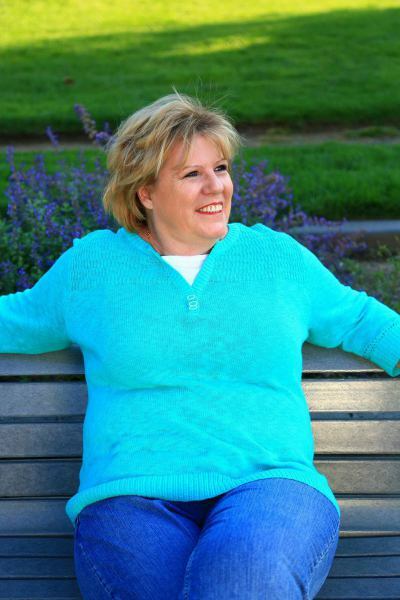 I blog at MyPlaceforYours.com and always enjoy hearing from fellow exchangers. Ainslie Waldron is an Australia-based businesswoman, blogger at MyPlaceforYours.com, and travel writer. Although semi-retired she continues the global travel that characterized her career but with an interesting twist: she has mastered the art of Home Exchanges, the lastest trend in the Sharing Economy. She swaps her Brisbane beach property for condos, homes, estates, and cabins throughout the world and shares her expertise in her new book. Her previous work includes The Ultimate Secret for Business.